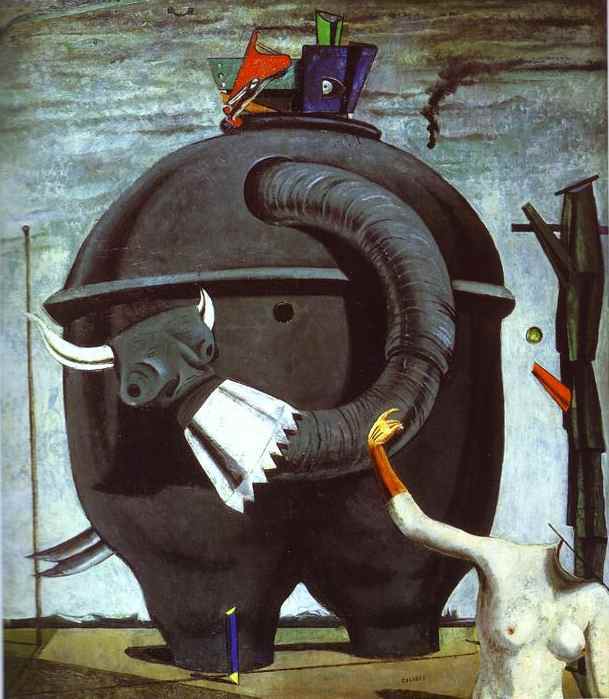 The Elephant Celebes was painted by the German dadaist and surrealist Max Ernst in 1921 and is oil on canvas. I think this painting is really cool to look at because of all the objects that are put together to make an image of an elephant. At a quick glance it really looks like an elephant with its body parts but when you look closer into the picture you come to realize their are random objects but together to make the image. I think it s also interesting because it is both a dadaist and surrealist painting. Every time I look at this picture I find something else I didn't see before. The colors and shading used in this painting also make it more realistic looking and really add to the overall image of the painting.